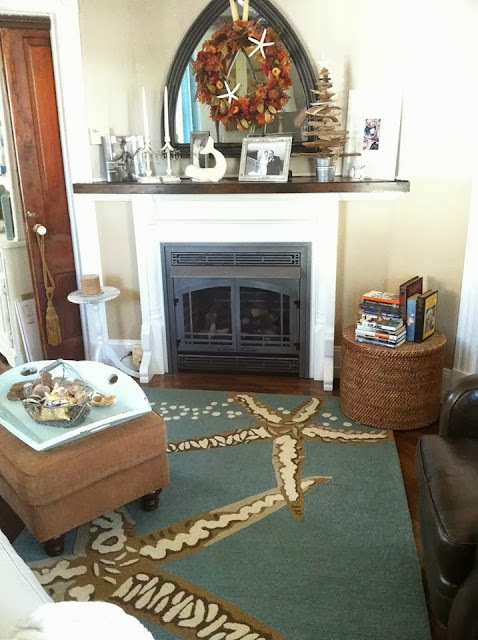 Susan Fairgrieve, my lovely artistic friend in Atlantic Heights, New Jersey sent me these gorgeous photos of her newly redone living room - complete with our Sea Star Blue Area Rug. I think her beach cottage room turned out fabulous, and I am so excited that we could be part of it! With coastal Monmouth County being her home, Susan spends her leisure time on or near the water. She embraces her love for the ocean and the beauty of nature in her surrounding environment. I love how she's captured that passion with sea-washed home accessories in carefully curated in aqua, white, and sand tones. 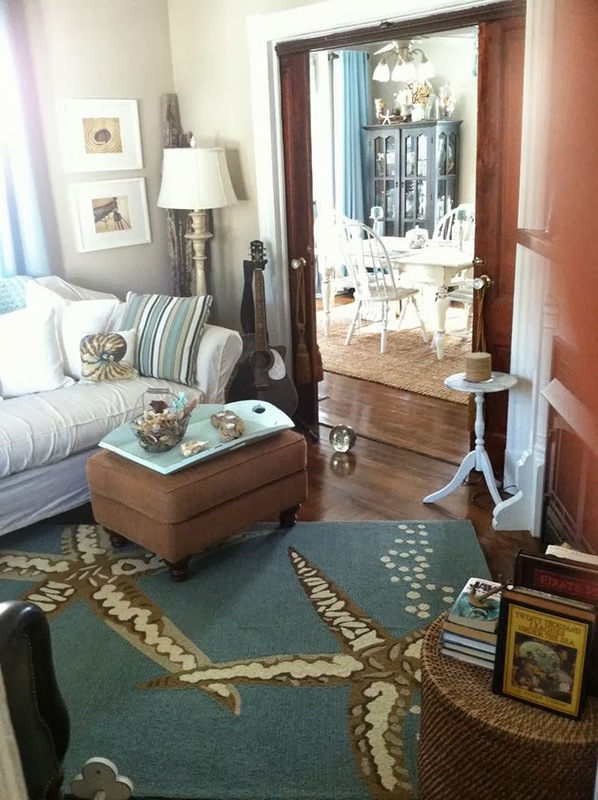 Wicker, a stack of favorite books and natural sea shell accessories always speak "beach" to me too. 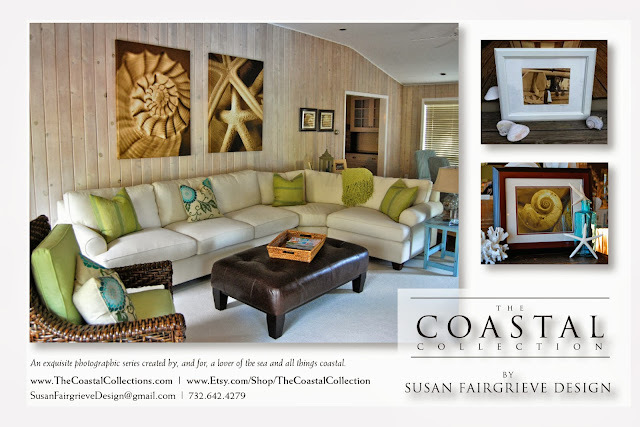 For more about Susan and her stunning photography - make sure to visit her Etsy Site, the Coastal Collection, or her full website, TheCoastalCollections.com.